New home ready January 2019! 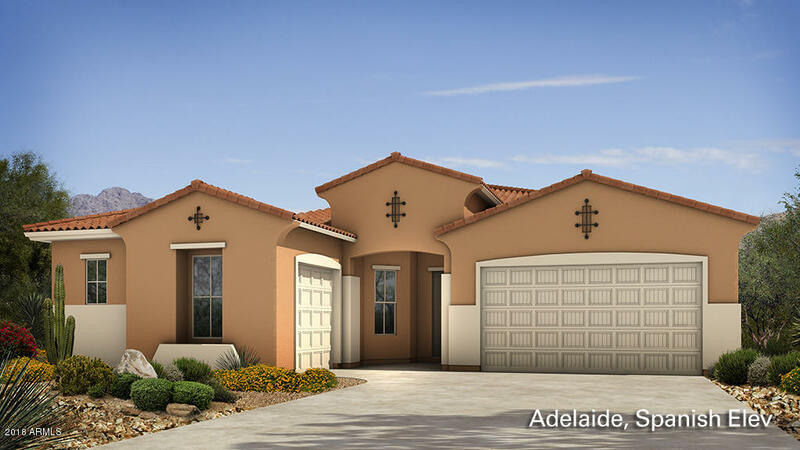 Very desirable Adelaide floor plan on a north/south corner home site. Great kitchen upgrades include ''twilight'' staggered cabinets, ''slate'' gas appliances and ''cashmere cream'' granite counter tops. French doors at den, multi-slide door from great room to covered patio, garage service door and iron entry door. ''Balanced beige'' tow-tone paint and 2'' faux white blinds. Extensive electrical upgrades throughout. ARMLS Listing Data last updated 4/23/2019 6:39 PM MST.